Is there anything better than a vacay in Sin City with your crew? What about if said trip also featured no-wait, VIP comp money and hassle saving access to the best clubs and party pools to see your favorite EDM artists and a stay at the MGM Grand Hotel & Casino right on the strip? Dreams do come true people, thanks to Summer Splash. For the 10th annual festivities, organizers have decided to do it big, enlisting the help of The Chainsmokers, Dillon Francis, Diplo, marshmello, Tiësto, Alesso, Zedd, and Cash Cash to take the party to the next level. With even more headlining performers to be announced, we can't imagine a better way to spent our summer break. The cherry on top of this incredibly lit sundae? Guests will have the opportunity to choose from one of four different weeks in July and August, which all come with access to Vegas' most renowned venues including Encore Beach Club, XS, Omnia, Wet Republic, Marquee Nightclub & Dayclub, Hakkasan, and Surrender. To take advantage of the most solid VIP package we’ve ever seen, head to their website to purchase your tickets, and then make sure to Track all the performers heading to SSLV below! But first, check out our ultimate guide to the can't-miss events of Summer Splash! Any trip to Summer Splash is going to come with some incredible events at the best nightclubs and party pools around. But, what you'll get at Weekend One is not just a single party with The Chainsmokers, but two. That's right, catch both a club and a special pool set from the "Don't Let Me Down" superstars in the same week, with one special closing party set on July 23. Our guess? The DJ duo will be setting the tone for the next three weekends of amazingness. Nothing says SSLV like a Special Pool set under the desert sky, and marshmello is bringing it hard. Whether you're right under his non-existent nose, or chilling in one of the venue's 26 cabanas, don't miss your chance to see "Alone" performed live in the best setting ever. But first, kick off the second weekend right with an opening set at Surrender from the one and only Diplo and enjoy the #1 act in the world, The Chainsmokers! What do we love more than a roster filled to the brim with our favorite performers? The mystique that surrounds a TBD lineup spot. 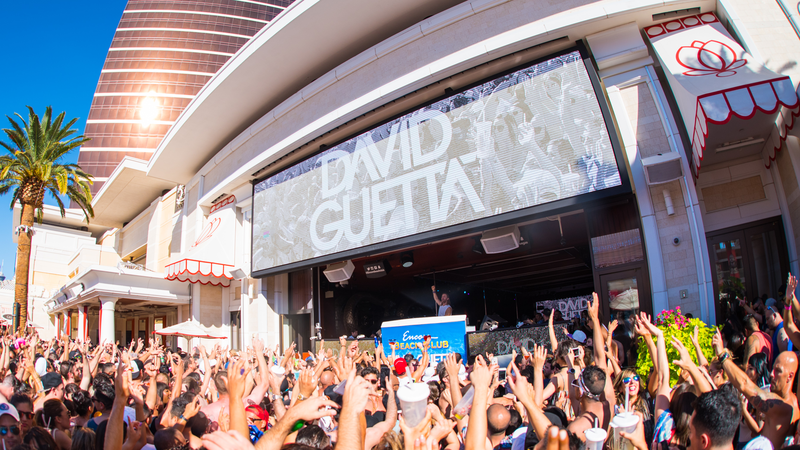 With two of Weekend Three's headliners still to be announced, who knows who will grace the stages of venues like Omnia, Wet Republic, and Encore Beach Club, but rumor is there are still a couple of BIG names to be dropped. What we can bank on, however, is clutch sets from Alesso, Diplo, Ghastly, marshmello, Tiësto, and Stafford Brothers. Count. Us. In. The past nine years of SSLV have spanned the course of three weekends, making 2017 the first to offer a fourth (due to popular demand). With day/night sets from The Chainsmokers, a poolside Tiësto party, and a RL Grime show at Surrender on tap, August 9-14 is already looking to be an unforgettable weekend, and there are STILL a couple of headliners yet to drop. Week four has us intrigued. Head over to their website to get your tickets now!